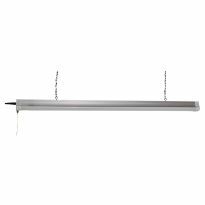 Compact 2' length is ideal for smaller spaces—linkable design lets you chain several lights together on one outlet. 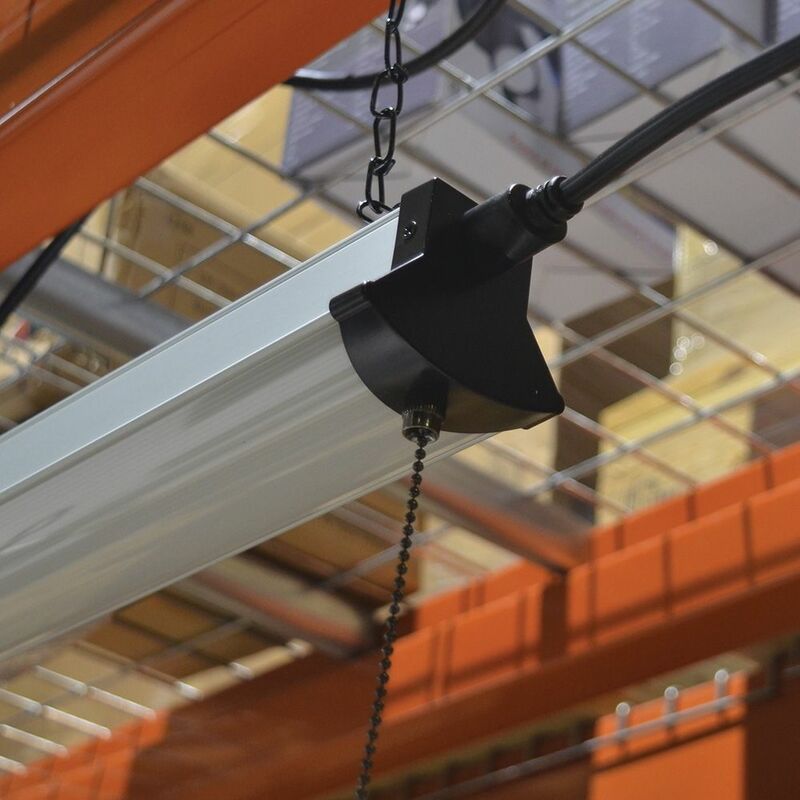 This 2,000-Lumen 2' LED Shop Light is ultra-bright, long-lasting, and incredibly energy efficient. 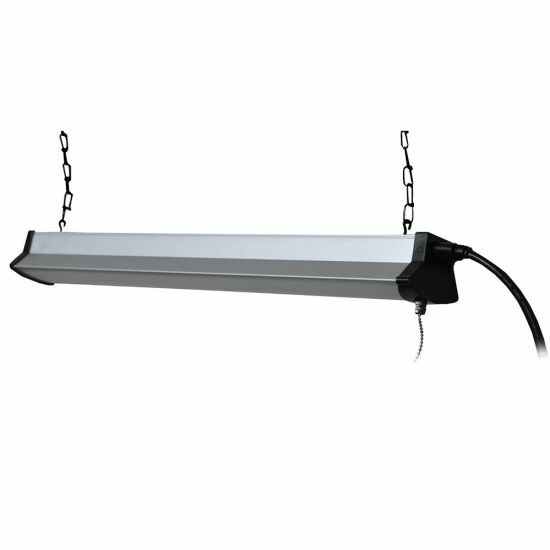 It makes an ideal lighting solution for shops, garages, laundry rooms and other work areas where task lighting is crucial. 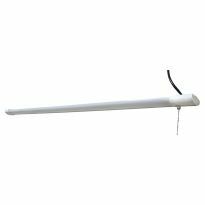 It's also an excellent upgrade for those expensive and fragile fluorescent tubes that flicker and fail all too quickly. Thanks to an LED life of 50,000 hours, the light can be left on for eight hours a day for over 17 years. No hum and no mercury for a safer, more environmentally-friendly lighting solution. Bright white light is very easy on the eyes, and comes to full-brightness the moment you turn it on, even in cold weather. I needed a bright light for my electronics work bench. Not only is this just what I needed, but this was much cheaper than other sites. Fast shipping too! great light really glad i bought it will be getting a 4ft one soon, great light for when i do my carving. I bought two of these to go over my work benches and they are great for that purpose. Just don't expect the light of a 4ft led light. These are such a massive upgrade from my old 48" lights. Easily twice as bright. Good price for led lights. Put two together for a 4 ft. light or separate for lighting two spaces. LED shop lights only way to go, bright white light covers more area. I bought 2 of the 4 ft ones and liked them so well I bought 2 of the short ones for some small areas I had in my shop. Nice and bright for a small area. Very nice, fits over my lathe nicely. I have this hanging from the ceiling over my lathe, positioned above about where I stand. That way the light comes over my shoulder, illuminating my turnings very nicely. Throws a lot of light very conveniently. This light gave off plenty of light over my small work bench. More than I thought it would. Great light. Put one at each statin (ie bandsaw) etc really helped as they were so easy to install. I installed four of these in my 12 x 20 shop. Plenty of light for this area. Very good product! Used two in my attic to shed light on the situation up there. Cool to the touch, which is important in an attic in the summer, provides plenty of light. The 5' cord is very useful to connect to a power strip. 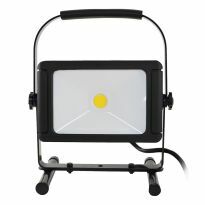 We bought this light both because we needed an additional light straight over our LX31 Robland Combination machine (Table saw +) and because we needed a bright portable drop light for various purposes. This two foot light works perfectly in both situations. The only thing I would change is the cord that goes from this light to chain it to other such lights. We would use a more common type of adapter for the plug that lets it chin to other lights; because the cord that comes with the light for that purpose is too short for any use we have for it; and, a more common adapter would allow us to use it with other cords we already have. This LED light was great for me. 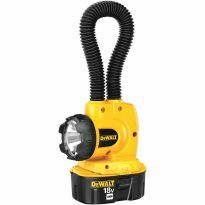 It's bright and was easy to install and priced right when on sale. It would have been nice to have a right angle versus straight or in-line cord end so that it would hug the electrical box. I needed 2 ft workshop lights to accompany a pair of 4 footers to fill the work lighting area. Ordered one of them to try it out. It worked and lighted very well so I bought a second one. Links easily, and the pair looks great. The five sets I bought were worth the price but I personally think I should have bought the larger more powerful ones. 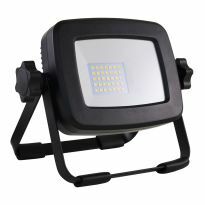 These lights are easy to put up - very light so you can put it up almost anywhere. My only problem is I didn’t notice how short the cord for chaining them is - about a foot. It’s not a standard plug so it’s the only way to connect them. But I really wanted them a bit further apart. I like this fixture when working under it, but there is no shield of any kind on the side of this fixture to block the very bright naked bulb side view of the convex shaped lens on this fixture. If you look at it from the side you will be blinded by the bright lens. I'm in the process of cleaning out my garage, I have four 4 foot florescent light fixtures that are from the 70's! When they decide to come on after flickering for 10 min or so its just not enough light! I have LED lights around the house and on my quad, the illumination is like night and day!! I was replacing a 1960's dual flourescent light. 2 foot LED shop lights seem to be hard to come by in the retail stores. Rockler had the best price on this item. I bought 3 of these for different work areas in my garage. I have a couple of spots in my shop that will be perfect for these smaller lights! I believe it will be a perfect fit over a small workbench. 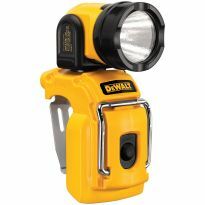 Supplemental light for a supply closet. As I get older I like more light in work areas. 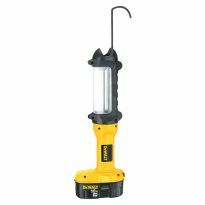 I intend to use this fixture over a work bench area as a task light. It's 2' length should work nicely in my limited space, and the 2000 lumens is the largest I've found in this size fixture. 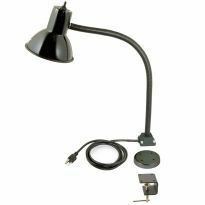 Need light for workspace w/o rewiring the space. Have other LED lights but this 2 foot length fits a spot where I need additional lighting. Also, the feature of having outlet in shop light to "chain" together lights was an attractive option. The price is amazing ! Re-doing show and looking to switch to LED lighting. To mount over me different saws. Good sale price. Wanted to try this type of lighting.I like that they link together. My husband needs better lighting over his workbench. These should be great without the hard-wiring! Great price too! Bought 2 of the 4 ft lights earlier and was very pleased with them. Have a couple places these 2 ft lights will work to give me more light in my shop. This was on my husband's gift list. Great price for a well made item. The size and light quality. I have a dark corner in my shop that I want to put this. IT WOULD FIT PERFECT IN THE SPACE I HAVE. 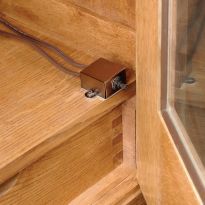 How well are these suited to high moisture areas such as in a shed with open vents to outdoors? Does this cord that come on it plug into a conventional outlet, or does it have to be hardwired to the electrical system? BEST ANSWER: It’s a regular wall plug cord. Can this be attached to the underside of a cabinet without using the chains? BEST ANSWER: Not sure but I don’t think so. Do I need to get the link cord for the linkable lights ? BEST ANSWER: My light came with the link cord, so I would think not. Could these lights be hard wired to replace the standard regular light bulb socket that are found in garages? Would like more light that is on the main power switch. BEST ANSWER: I put outlets on the ceiling of my shop that are on a wall switch which works fine. Thread for hooks on top? I've got one and it looks like a great light. I'm planning to make a couple of plywood arms so I can swing it out of the way over my electronics workbench. I was going to use the nuts that the two hooks thread into to mount to the arm - more compact that even a short chain - but I can't figure out what the thread is! My thread checkers say it is a #5-40.... if that is the case it is the first time I've _ever_ seen that size screw!